That’s a wrap! See you at the premiere screenings of The Bondmaid in Spring 2019! 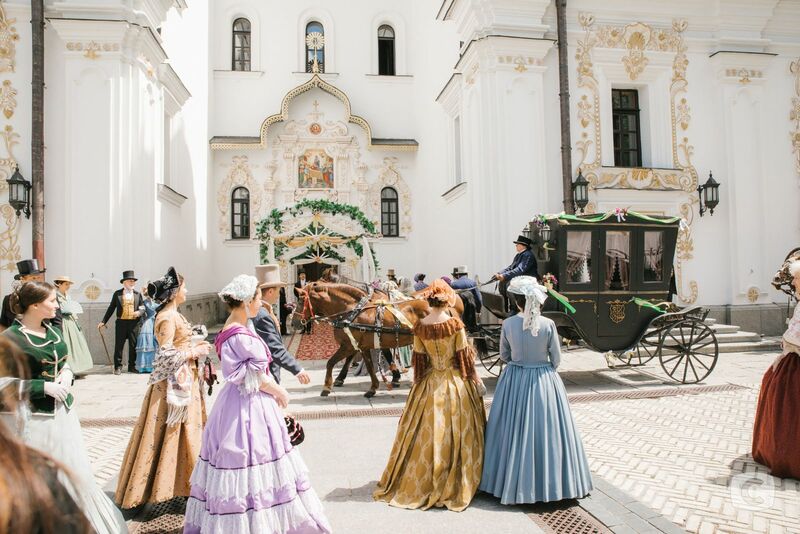 The filming of The Bondmaid, a widescale costume drama, finished in Kiev. The series will be presented on STB channel in half a year! The shootings of a drama in 48 episodes took a bit more than one year, and The Bondmaid is a joint project of FILM.UA and Starlight Films. The process took 254 film shifts, and more than 50 happened at night. Even by cinema standards - it's quite a few! And we are not exaggerating saying that The Bondmaid shootings were a whole movie life, intense, exciting and exhausting – sometimes even for 16 hours a day. Two directors, Maxym Lytvynov and Felix Gerchikov, were responsible for the shootings of the cinematic novel in 48 episodes. Totally more than 230 actors were involved on different locations, and 170 of them were the key characters. 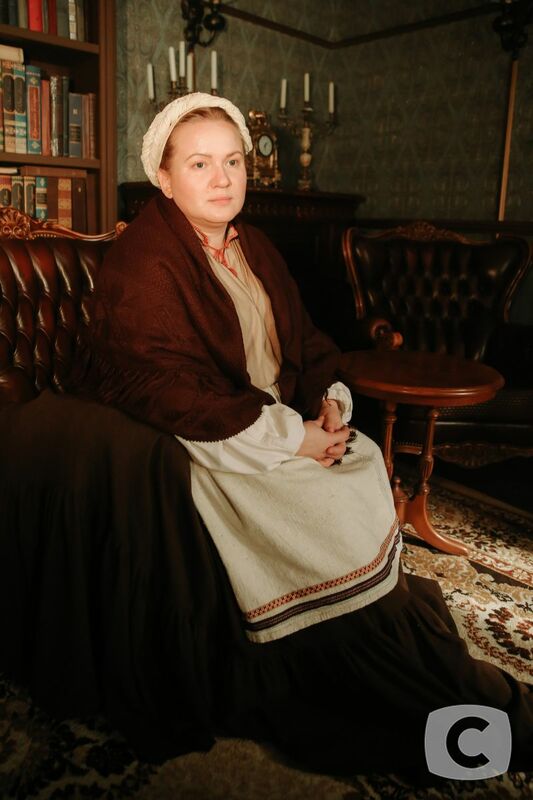 The plot goes around the story of Kateryna, a serf brought up as a noble lady. 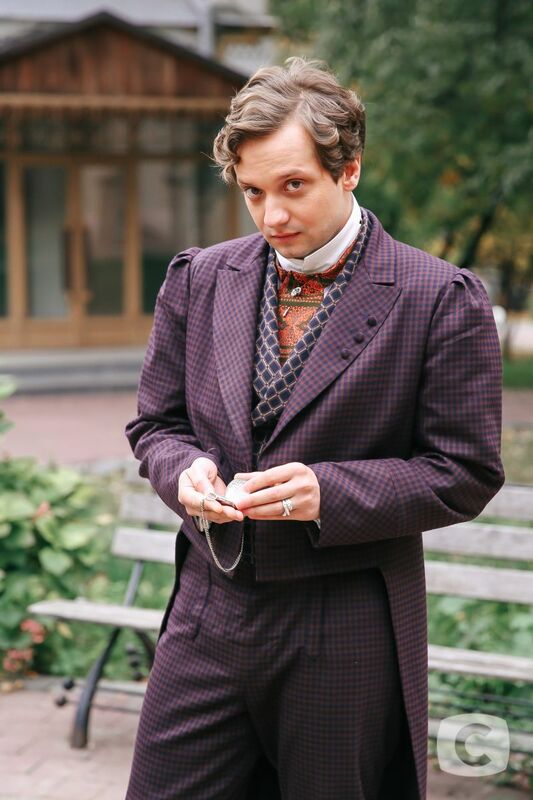 Young master, gentleman Grigory Chervinsky, falls in love with her, attempting to turn her into a lover. But his mother, Anna Lvovna, interrupts him – it was she who rose Kateryna and still governs her. 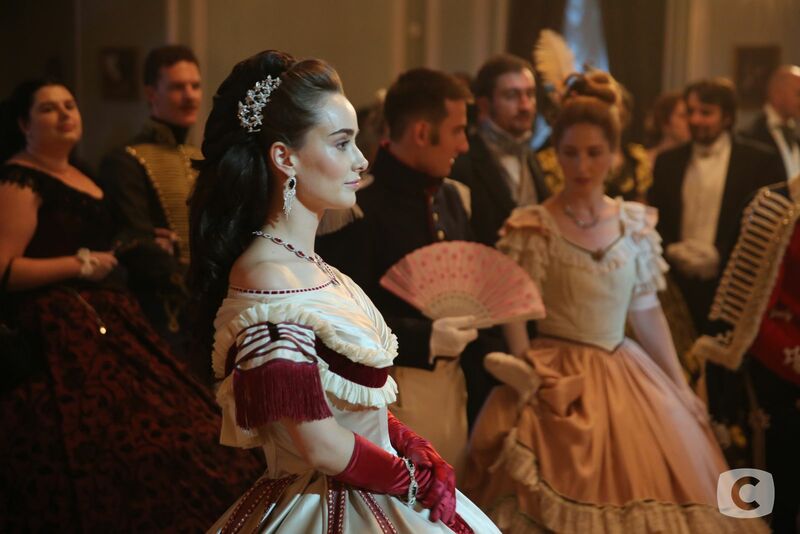 The others also show their support for Kateryna… But the protagonist will have to endure the losses and obstacles before she gains freedom and love. "As for me, this is a story about freedom. Everything is here: crazy love and passion, true friendship and a terrible betrayal ... But if we talk about the main value - it's still freedom: after all, the protagonist Kateryna goes through hard trials in order to become free and eventually achieves her goal". By the way, about a hundred young actresses claimed the main role. As the showrunner Tala Pristaetska told, even a Scandinavian actress was considered. But finally the role was taken by the young actress Kateryna Kovalchuk, who was experienced with shootings in the US. Actress Anna Sahaydachna, a rising star of Ukrainian cinema, also tried for the role of Kateryna. 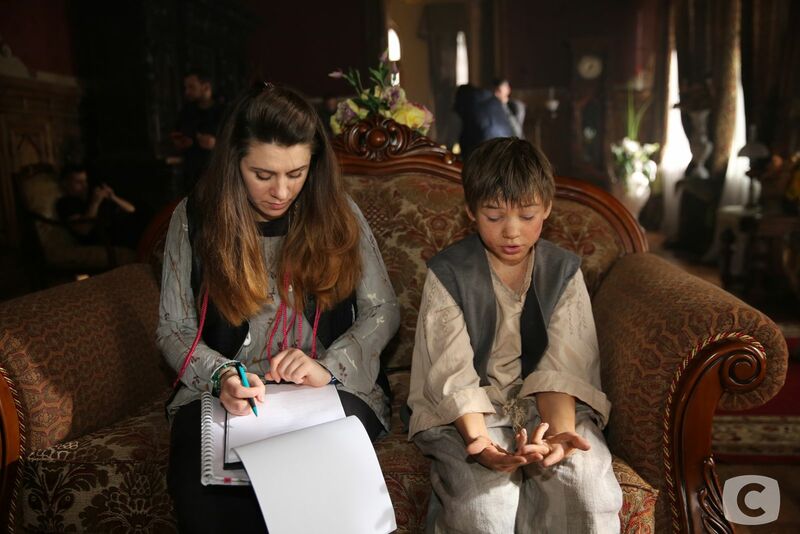 But when she read the script, Anna asked for Natalia Doroshenko's role. It is a deeply dramatic character that changes throughout the whole story. For this year the cast became a true family. 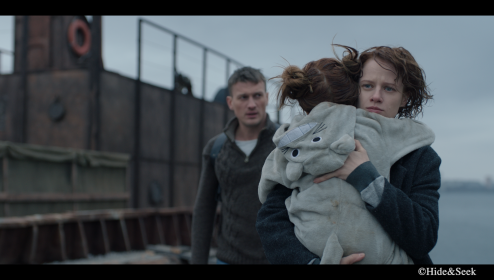 On one site worked both the renown filmmakers like Olga Sumska, Stanislav Boklan, Olesya Zhurakovska, Yulia Aug, and the rising stars of the screen: Anna Sahaydachna, Kateryna Kovalchuk, Mark Drobot, Mikhail Gavrilov, Oleksiy Yarovenko, and others. "I dreamed of a historical format. And the Almighty heard my prayers. I am grateful to the producers for such a gift of fate. The historical series is different sensations, different style of communication and speech building. 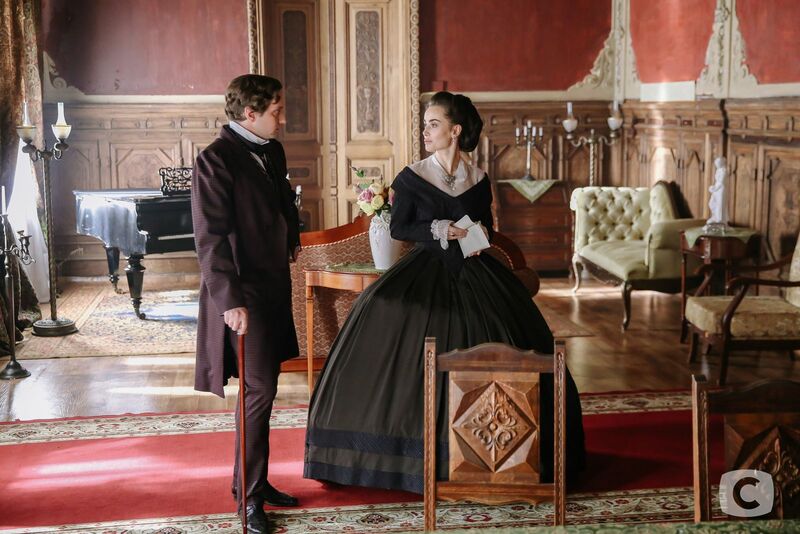 You can not improvise much, because you need to use the style of that time, the 19th century. But it gives wings, stimulates the actors. And the casting is incredibly successful! I work with Oleksiy Yarovenko, an actor from Belarus. Such a handsome man! Let's be honest, the women will be flattered by the beauty and nobleness on the screen", - actress Olga Sumska has shared her impressions. 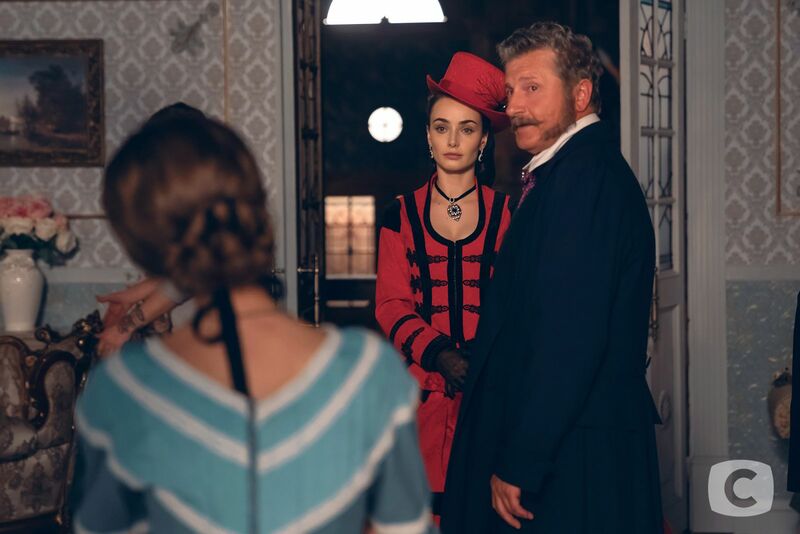 The young actress Anna Sahaidachna, believe or not, married twice in one month: once on the screen, and second time – for real, with the producer Evgen Tretyak. 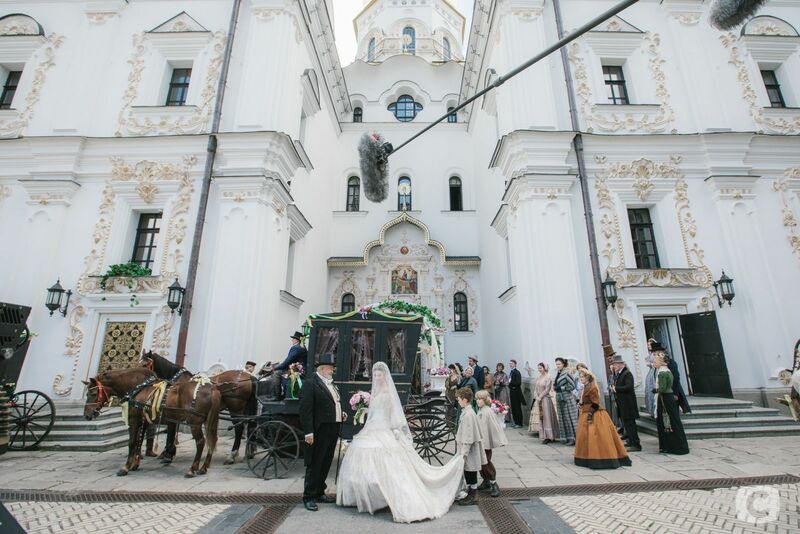 She even thought about wearing her cinematic outfit for the real wedding, but changed her mind - because she and her character Natalia have so different life stories. 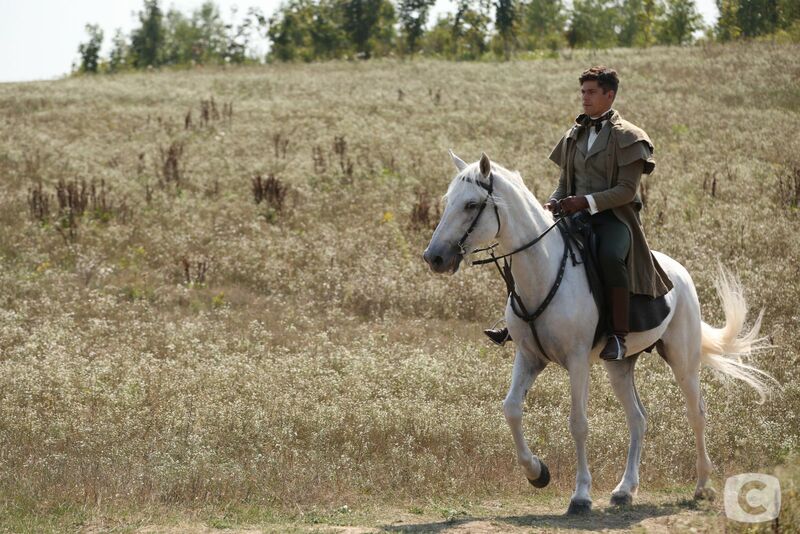 In addition to the actors, the doubles also worked: they replaced the actors when they had to ride horses. Nevertheless, all of them were capable not only to keep in the saddle, but also to race along the field by the end of the project. We will reveal the secret: on the first day of shooting, there was almost a drama. When the actress Katya Kovalchuk sat on her horse, the animal rushed unexpectedly! Good that Katya had a riding experience and she skillfully kept in the saddle. "I was so impressed with the team’s attitude to work. We tried to organize everything so that people did not have to make additional sacrifices. Low bow to artists, make-up artists, costumers, camera men - the whole team that withstood 14-16-hour shifts. 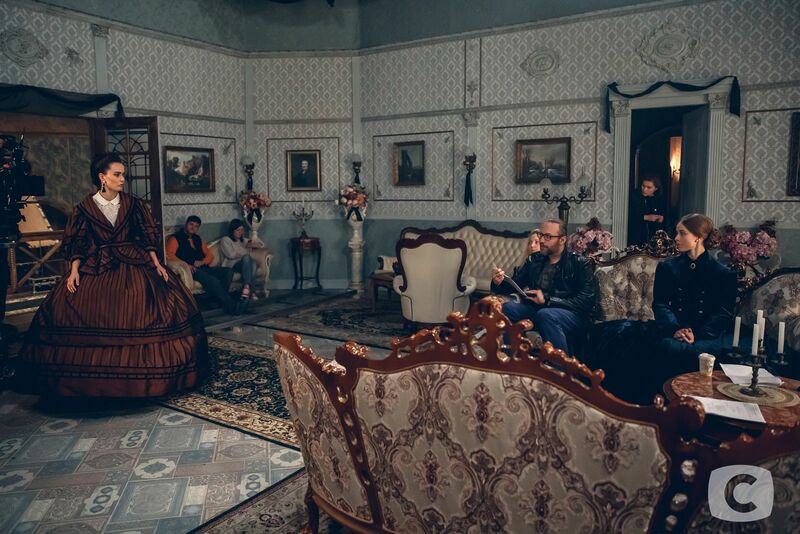 Almost all the actors have refused doubles: they were wet under a rain and exhausted from heat", – Maxym Lytvynov has told. 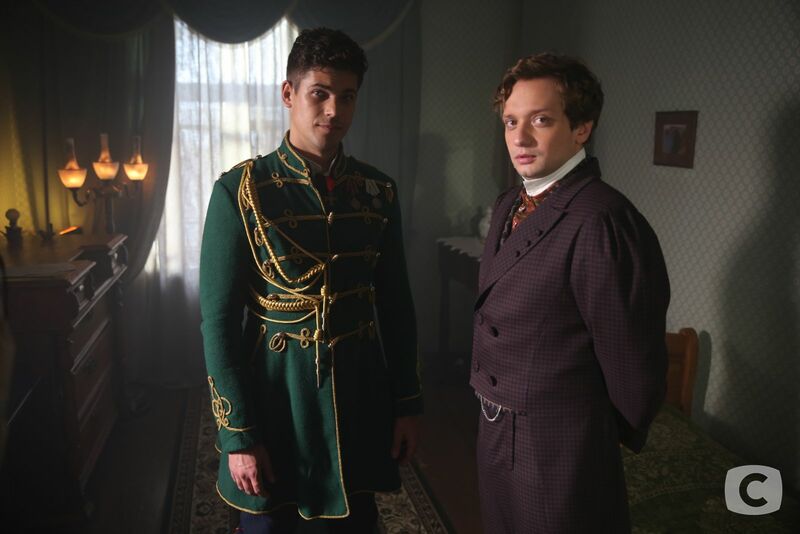 Costume TV drama is always very beautiful and magnificent. But also incredibly troublesome! Just imagine that kilometers of cloth were used up during the filming, and about two hundred dresses were sewn: no one knows the exact figure! After all, some models of outfits were made at once in two or even three copies, while some outfits were taken for hire. 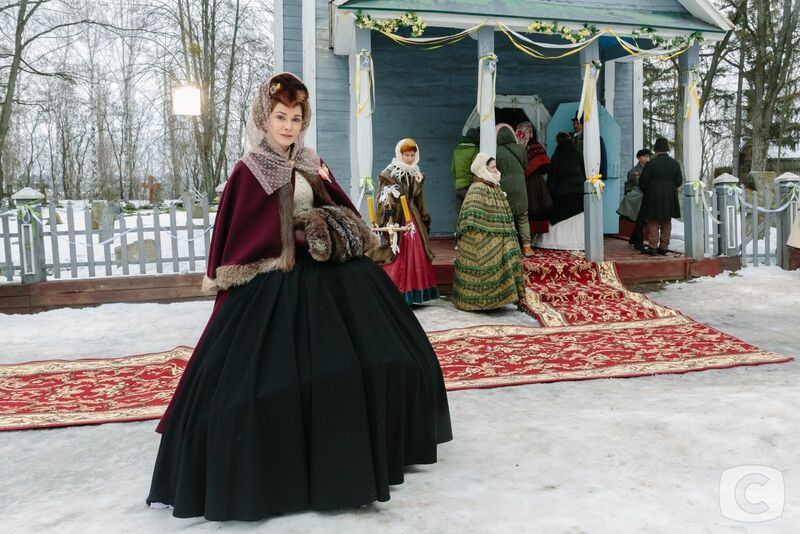 The heaviest dress weighed about ten kilos, and it took 12 meters of fiber for the most gorgeous one! But the greatest number of outfits was made not for the main protagonist Kateryna – but for Natalia Doroshenko. According to the story, she comes from a rich family, besides an incredible woman of fashion! So the actress Anna Sahaydachna happened to be shot not only in the crinolines of different styles, but also in other costumes – for example, a spectacular riding habit. Initially, the girls, tightened in corsets, even fainted. Kateryna Kovalchuk remembered that at first she tried to have a snack in the crinoline. But then she started changing clothes – after all, having dinner in a corset is slightly possible! 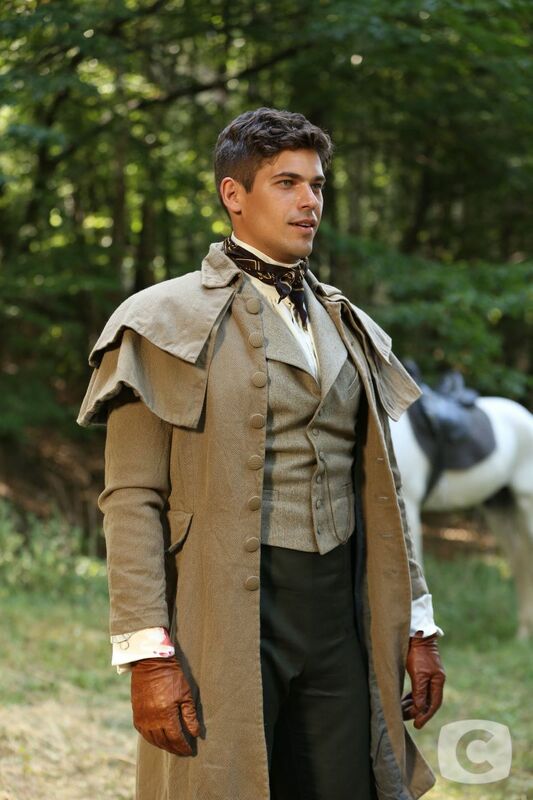 It was also difficult for male actors to wear their own clothes. Just imagine: a shirt, trousers, waistcoat, tight tie, frock coat and a hat – in these suits all the men looked slim and elegant. But it is so difficult to survive in such a garment in a thirty-degree heat! It’s hard to overestimate the work of make-up artists in this project: after all, each of the characters had a distinctive style. Bizarre hairstyles and fancy haircuts, as well as the shape of mustaches and beards - all this was and was drawn from the old magazines. 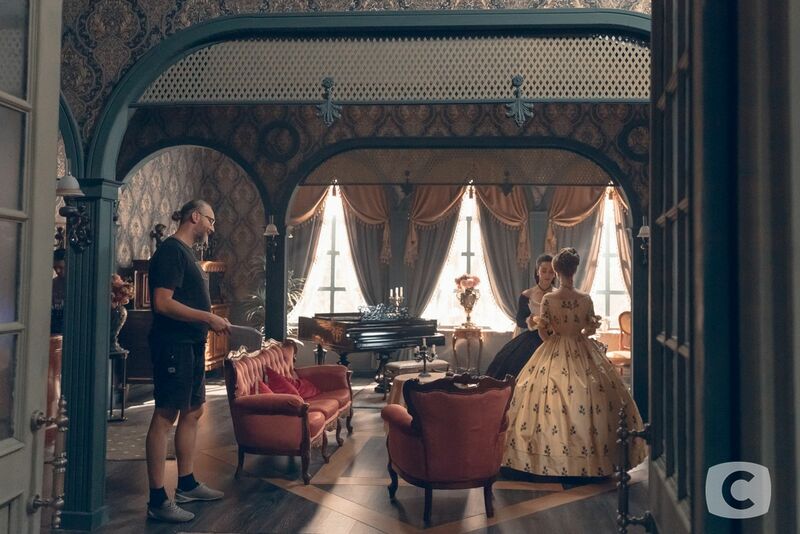 "There is no exact historical certainty in our series: silhouettes and images are reliable, but still have some modern features, and hair is styled for the modern viewer", - said the make-up artist Liliana Khoma. An interesting detail: different make-up presets were used for the nobility and peasants. And this is quite understandable: after all, ordinary people worked in the field all day long, so their faces were sunburnt and weather-beaten, with traces of soot or dust. But the nobles were light-faced and powdered, carefully combed with curls. Liliana said that the most difficult character to make up was the peasant Nazar. He had to impose a special make-up to cover the body with cuts, scars and bruises, which took up to two hours. Another interesting detail of the make-up artists work is to form the character with the help of a hairstyle. So, Grigoriy Chervinsky is just deadly beautiful, as a true antagonist should be. Believe us, it was simply impossible to take the eyes off this effective gentleman on the pitch! Liliana secretly confessed that they boosted Grigoriy’s sexuality and the result was great: "Grigoriy attracts women, but at the same time, he is a danger himself. We needed a special pattern of eyebrows, mustaches and whiskers to emphasize his masculinity, harshness, rawness and charisma". 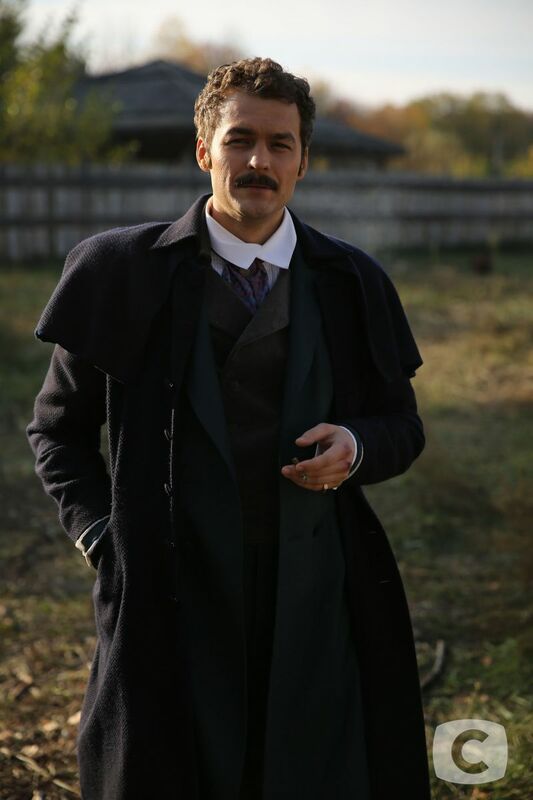 But Nikolay Doroshenko appeared a man who almost immediately causes trust. That is why Mark Drobot’s forehead is opened, with his hair combed back – so he immediately makes you trust him. The geography of the project is amazing! The shootings wew made in the palace ensemble Kachanivka, Chechelya estate near Khmelnitsky, in the Gonchar museum in Kiev, Uspensky Cathedral of Kiev-Pechersk Lavra, open-air museum Pyrohiv and many other sacred places of Ukraine. There were also unexpected discoveries: there are very few interiors of the second half of the XIX century preserved in our country. Some furniture and utensils had to be rented, and most of the interiors were recreated by designers and artists. By the way, these apartments and houses are located in two pavilions of the FILM.UA studio, where the shootings have been taking place for six months. But now the shooting is over, and we congratulate the whole team with the completion of this stage. The installation of series and scoring are to be done now. And in the spring of 2019, just in six months, we will be able to see the grandiose and chic The Bondmaid on the STB channel! Follow the announcements and stay tuned! Scriptwriter: Tala Prystaetska, Olha Krzhechevska, Victoria Adzhavi, Valentyna Shevyakhova, Svitlana Tsyvinska, Anatolyi Rudenko, Emin Bekir-Zade, Albina Ilchenko, Iryna Pimenova.